It’s a race for space on some powerful playlists across the nation as two really great Australian bands compete for airtime on our favorite niche U.S. radio format, Adult Album Alternative, or AAA. That’s the wonderful little panel of stations that brings us the best of singer-songwriters, folk and rock music and the occasional crossover selection. One of these acts has charted there before several times; one could be making it on for the very first time. So, break out the Vegemite and tie your kangaroo down, sport, because the dudes from down under are ready to make a stand up north. Check ’em both out. “Only” a taste of what’s to come. Hard to believe that these guys from Fremantle have been around since the late 90’s, but they’ve been racking up new fans ever since, first establishing a base in their native Australia before moving onto a worldwide audience. That audience includes the United States, where the word began spreading about them several years ago. 2007’s Grand National, promoted by Atlantic Records, provided them with a radio hit in “Better Than”, which quickly raced into the top ten at the format (followup “Good Excuse” saw much less action later that year), while 2010’s April Uprising, released on ATO, saw two singles rise onto the AAA chart: “One Way Road”, a top ten record, and “I’d Do Anything”, which just slipped into the top 20. Another three years have passed and recently, the band announced that their latest album, Flesh & Blood, will be out on February 7. “Only One” hits U.S. iTunes on December 10. It’s another solid single from the guys, who serve up a little steel drum on this for a little bit of an island vibe in the midst of their jam band sound. Given their past rankings and the help from Vanguard, this should be accepted at radio and become their latest placing single on the chart. Good luck, mates! The South’s gonna do it again. 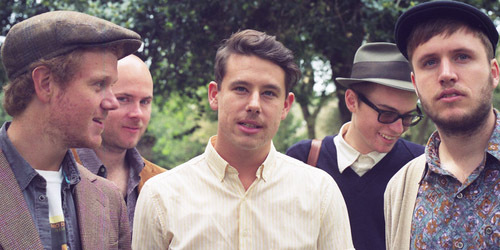 The five piece band out of Sydney formed in 2009 and were promoted through the Alternative radio station Triple J and national networks like NovaFM. They released an album Moonfire in 2011, which went to #2 in Australia and was certified Platinum. One release from it, “Fall At Your Feet”, became a minor top 40 hit. The effort and a lesser-peaking single, “Feeding Line”, earned them five wins at the yearly ARIA Awards, including Album Of The Year and Best Group. They returned earlier this year with Harlequin Dream, which became their first #1 album in the country. Though this missed the top 50 on the Singles Chart there a few months ago, Nettwerk Records is bringing the band and “Sun” to the U.S. where they have yet to find a big audience. A 16-date U.S. and Canada tour begins in March, including a date near here at The Sinclair in Cambridge, MA on the 26th. “Sun” has a rustic feel to it a la Gerry Rafferty in the late 70’s, or even Al Stewart or 10CC from the same era, but it’s really likable song that’s suited perfectly for the springtime airwaves. Nettwerk is also a more recognizable name at the format given successes with Family Of The Year and Passenger, although acts like Hey Ocean and Lily Kershaw haven’t fully blossomed there. I’m inclined to think they have a hit on their hands with this one. Which Aussie act are you rooting for to be 2014’s first success story? 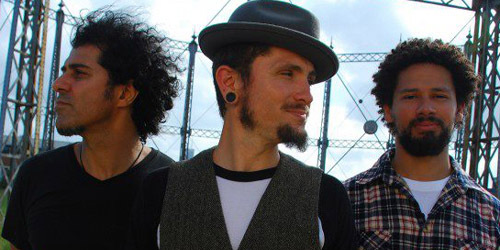 The returning John Butler Trio or the new kids on the block, Boy & Bear? Both perhaps? Let me know in the comments below and find PGTC on social media by clicking the “Get Social!” tab.